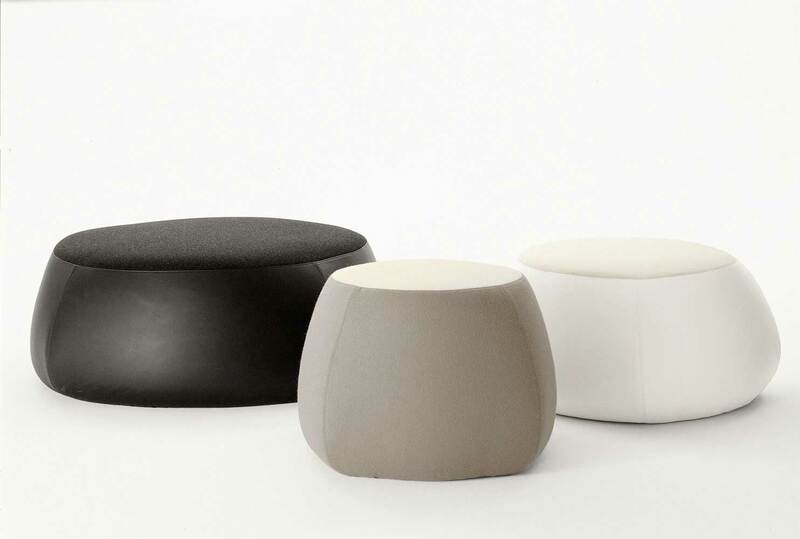 Round, soft and sinuous shapes: this series of floor-standing seats without a metal base offers a new expression of comfort. 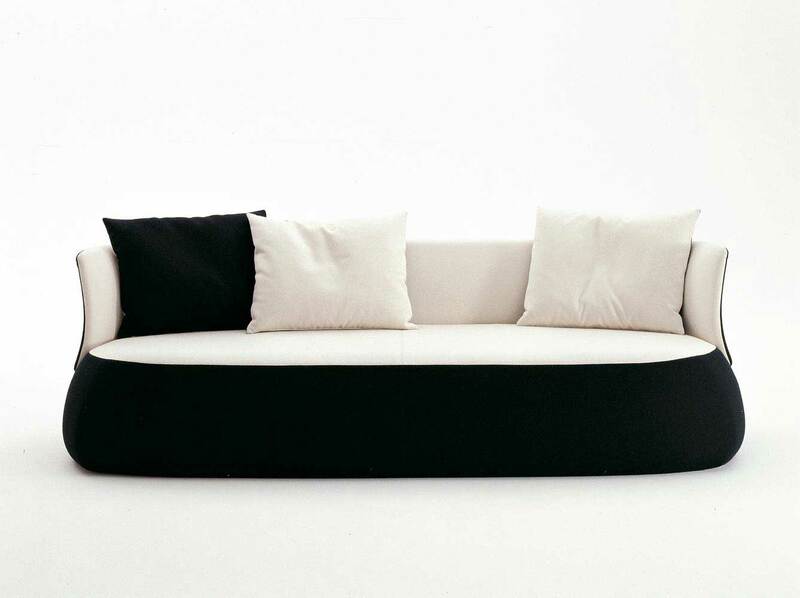 They are islands that can be upholstered in leather or fabric, and placed alongside to create unique playful solutions. The double-color versions and those that mix leather and fabric are original with horizontal and vertical surfaces establishing a dialogue with each other through nuances of shades or with stronger contrasts. 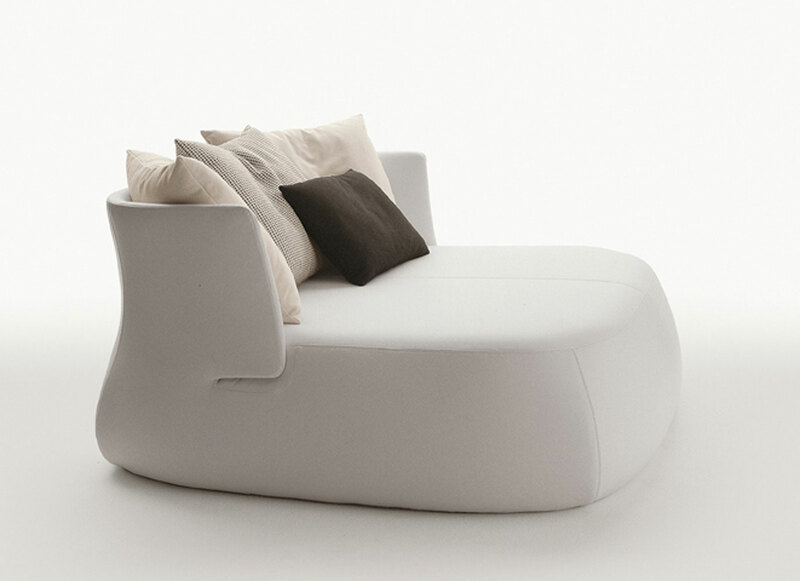 Once again in B&B Italia’s history a product merges original shapes and technological innovation which, in this case, are represented by the use of slow-return viscoelastic foam that gradually adapts itself to the body and its posture.